As with keeping any livestock for farming purposes, it is important that you fulfil the legal requirements issued by government. 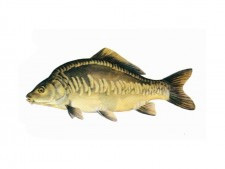 We have been advised by the Fish Health Inspectorate (FHI) based at the Centre for Environment Fisheries and Aquaculture Science (Cefas) that if anyone intends to rear fish for the table at home or in a garden (such as for an aquaponic system) it will be necessary to register the Aquatic Animal Holding. Legislation has been introduced since 2009, which called for any still waters which contain fish, which may either be restocked or any fish removed at any time, will be required to be registered with Cefas (Centre of Environment Fisheries and Aquaculture Science - an agency of DEFRA). DEFRA have produced a Statutory Guidance for Aquaponic Businesses (See Regulation - Setting up an aquaponic system) which explains the requirements for registration. To register your holding, you will need to complete Form RW2 which is available from the Cefas website: https://www.gov.uk/fish-and-shellfish-farm-authorisation-and-registration. Scroll down the page until you reach ‘How to apply to register your waters’ Down load the RW2 file PDF file and complete. Some larger sites (see Cefas guide) may require Authorisation and completing an AW1 instead of RW2 (this can take longer as we have to consult with other agencies). Send the completed form off to Cefas based in Weymouth, Dorset. There is no cost for Registration and the issuing of a consent. Registration normally takes 10 days from CEFAS receiving RW2. Once you received word that your aquaponic system is registered you can then instruct us to dispatch your consignment of fish to you.